Volcano is a romantic peaceful place where you get away from the noise, traffic, and city lights so commonly found elsewhere. You don’t find any big hotels in Volcano, but instead charming private cottages and B&Bs that will bring you back in time when life seemed to be simpler. 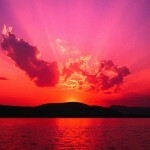 Relax, enjoy, and have a great time visiting this beautiful piece of paradise. in Hilo-week long festival celebrating Hawaiian Culture with many Hula competitions to watch. Jaggers Museum Located inside Volcano National Park, great viewing of the Kileau crater. Return after dark to see the vent glow. World Heritage sites are extraordinary places around the globe that have been recognized by UNESCO (the United Nations Educational, Scientific and Cultural Organization) for their outstanding natural and cultural value. There are 852 such sites around the world, but only 21 in the United States – and only two in the Hawaiian Islands. 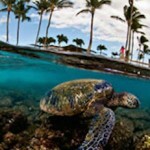 One of those is in the remote Marine National Monument, Papahanaumokuakea, in the Northwest Hawaiian Islands. The other is on Hawaii Island at Hawaii Volcanoes National Park. 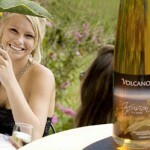 Wine tasting in Paradise is just a sip away at Volcano Winery on the Big Island. Come taste the local wines inspired by volcanic fire and the bounty of the island. For the more traditional palate, offers two award-winning wines made with the Symphony grape. And Macadamia Nut Honey Wine, made from the island’s blossoms of the Macadamia Nut tree, is a sweet after-dinner treat that is uniquely Hawaiian – a favorite with locals and visitors from all over the world. This beautiful black-sand beach is a great place to see green sea turtles close to shore. Experienced hikers might try the 4-mile coastal trek to this amazing beach containing olivine crystals from the cinder cone behind. But be aware: there are no facilities or water (or shade) available. And be very cautious if you venture into the ocean.